The golden hue of well baked ANZACs. 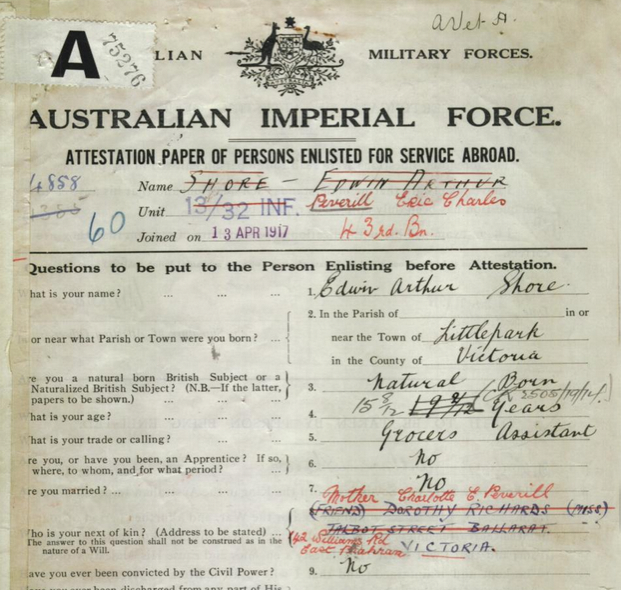 Ancestor Eric Peverill became an ANZAC under a false name after enlisting for WWI at the age of 15. My old recipe from around 1970. 1. Mix oats, flour, sugar and coconut. 2. Melt golden syrup and butter together. 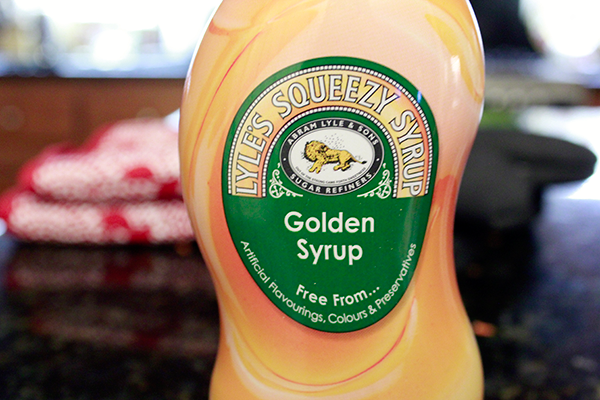 The secret to good ANZACs is Golden Syrup - a byproduct of sugar refining also known as light treacle. 3. Mix bicarb of soda and boiling water and add to melted butter and golden syrup mix - and watch it bubble! 4. Add to dry ingredients. Mix well. You'll have to beat away the taste testers as this point. 5. Place tablespoonfuls of mixture onto a try lined with parchment paper. 6. Bake in slow oven 300-320F/ 150/160C for 15 - 20 minutes. Mixture doubles easily so why not make a double batch so you'll have enough to last a few days at least! I've been making this recipe forever. Source: The Commensense Cookery Book, Book 1, Compiled by the NSW Public School Cookery Teachers' Association. My copy is so worn out from reading this recipe - it's falling apart! 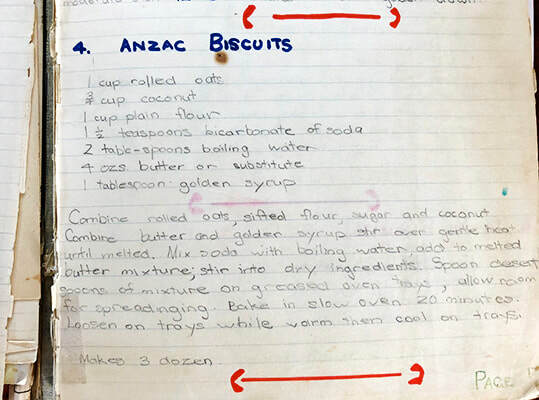 The font of all wisdom - ANZAC biscuit-wise. This is a photo of Dorothy Shafron's Melbourne grandparents and her three uncles Eric (youngest), Augustus (called "Val") and Edwin. All three boys enlisted in the Australian Army and served overseas in the First World War (1914 - 1918). Augustus (middle pic) served in Gallipoli in the Field Ambulance, was wounded then evacuated and sent back to Australia. Edwin served in France and came back to a successful career as Auditor General of Victoria. Eric Peverill was too young to enlist so he ran away to Adelaide and joined under a false name at the age of 15 then served in France. All survived. The Peverill boys - all future ANZACs - with parents Augustus and Charlotte.